Weston Cup and Showcase Soccer Tournament – Florida’s Premier Presidents’ Day Weekend tournament for boys and girls teams. 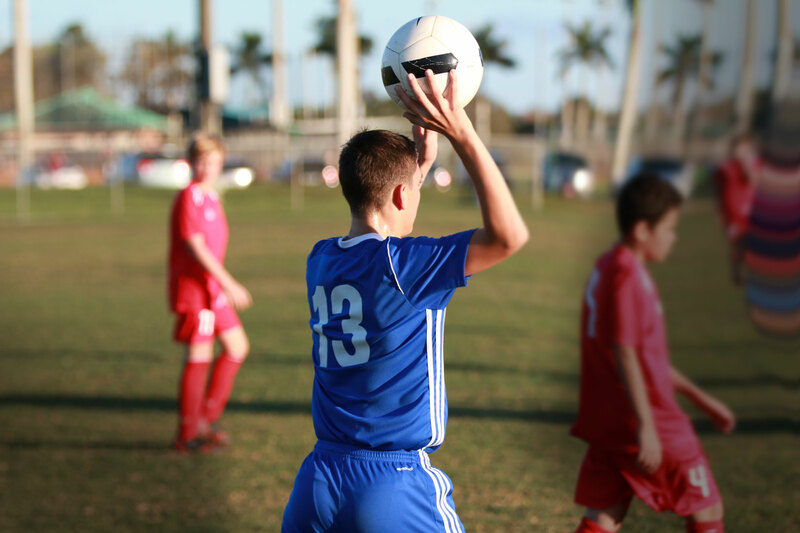 As the largest youth soccer tournament in Florida and one of the biggest in the United States, The Weston Cup & Showcase is Florida’s premier Presidents’ Day Weekend Tournament for boys & girls teams. In 2018, the Weston Cup & Showcase had 750 teams from throughout Florida, multiple states, and international teams from Brazil, Canada, Haiti, and the Dominican Republic that competed at nine facilities which included over 40 playing fields. Weston Cup & Showcase has been recognized as one of the top-15 youth tournaments in the United States, click here for details. Note: Palm Beach County clubs and teams that have school on Monday, February 18 will be placed in Divisions/Flights that will play their Finals on Sunday, February 17. The tournament will offer four levels of competition: Showcase, Gold, Silver, and Bronze for U9 through U19 boys and girls teams. For 2019 we are again expecting roughly 700 teams from throughout Florida, out-of-state and internationally. The Weston Cup & Showcase is sanctioned by Florida Youth Soccer Association (FYSA) and US Club Soccer and will follow all new US Soccer Development Initiatives. WHERE: The Weston Cup & Showcase is played in the heart of Broward County in Weston, Plantation, Miramar, and Davie, Florida. Specific age groups will be assigned and play at respective facilities/fields throughout the weekend. U15, U16, U17 & U19 Age Group Brackets: Highest level of competition. Teams that compete regionally and nationally. Top Division I teams (National and Regional level teams) from across Florida, out-of-state, and international teams are expected to participate. The showcase divisions will be played in tournament format with group and playoffs/finals. Several college coaches and scouts will be at the Weston Cup to observe players participating in the Showcase Division. The Weston Cup & Showcase is a GotSoccer Tournament and teams will be eligible to for tournament points based on performance. Teams may pay by credit card online via GotSoccer. Any teams registering after the deadline will be placed on an active waiting list depending on availability based on the size of the divisions and flights. Please complete the online application fully. Incomplete applications will not be processed. If you cannot pay online, register online and then send in your check. Teams will not be eligible for acceptance until the registration fee has been received. Any team not accepted will receive a refund. Any team which withdraws after the application deadline of January 8, 2019, will not be eligible for a refund. NOTE: Entry fees received after the Monday, January 7, 2019 deadline date will incur an additional $50.00 late fee. In partnership with [U18] Sports Medicine, Athletic Trainers will be onsite at all facilities. U8 and U10 teams play 7-a-side and may carry up to 12 players. U11 and U12 teams play 9-a-side and may carry up to 16 players. U13 to U19 teams play 11-aside and may carry up to 22 players on their roster but only 18 players can play in any given game. U9 – U10 age group teams will play 7v7 and roster size cannot exceed 12 players (4 guest players). U11 – U12 age group teams will play 9v9 and roster size cannot exceed 16 players (5 guest players). U13 age group teams will play 11v11 and roster size cannot exceed 22 players (6 guest players). All 14U and older age groups will play 11v11 and be limited to a 22 player roster size from which the gameday roster for a given game may not exceed 18 players.